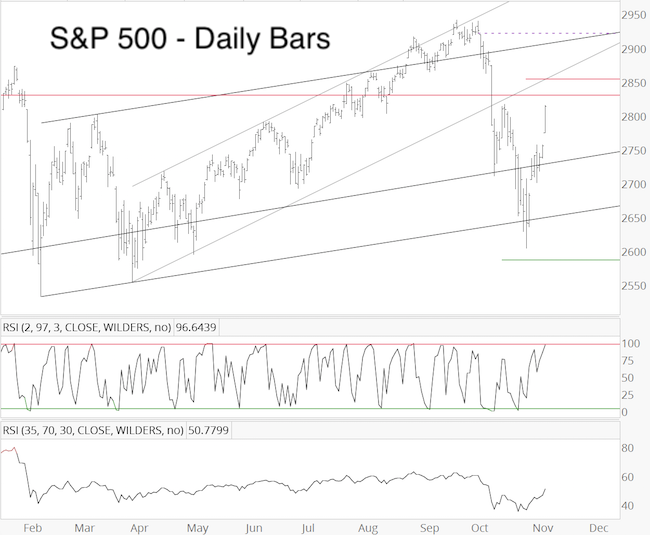 ﻿ S&P 500: Pop and Drop? My October 28 S&P 500 outlook projected a low around 2,600 followed by a rally towards 2,900. With the S&P nearing the minimum up side target, it’s time to ask: What are the odds of a pop and drop? Wave 2: If this bounce is wave 2, it is not allowed to exceed the September high (2,940.91), and should ideally stop in the 2,812 - 2,869 range (61.8 - 78.6% Fibonacci retracement). Once complete, the wave 2 rally is followed by a strong wave 3 decline (along with waves 4 and 5). As of Wednesday's close, the S&P ended near over-bought, but without bearish divergences. This suggests short-term weakness should be followed by at least one more high. 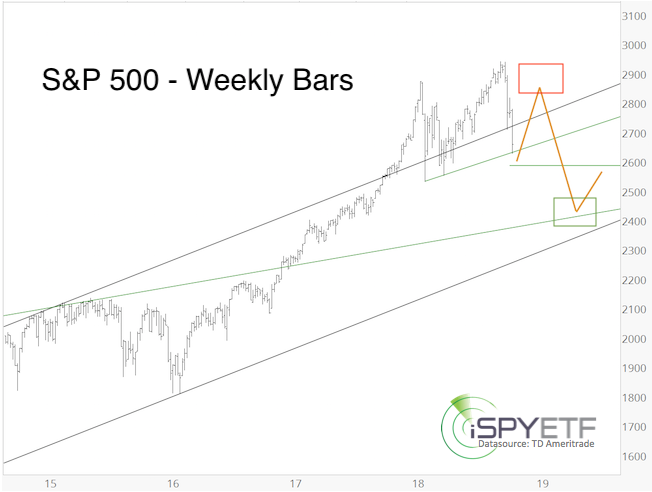 An updated short-term S&P 500 outlook is available here.